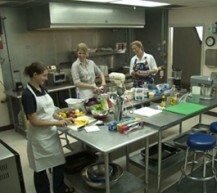 Physically located between PC&E Sound Stages 1 and 2, PC&E’s Food Styling Kitchen can service either of the studios. The kitchen is uncluttered with plenty of work space and storage. All appliances are commercial grade, and almost everything a stylist will need is on hand. 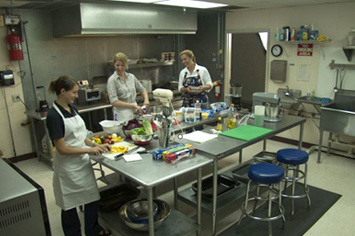 The Food Styling Kitchen may be added to any stage rental.